Art lovers will enjoy this double dose of beautiful Japanese images in this week’s Exclusive Japanese Woodblock Prints auction, presented in two sessions. 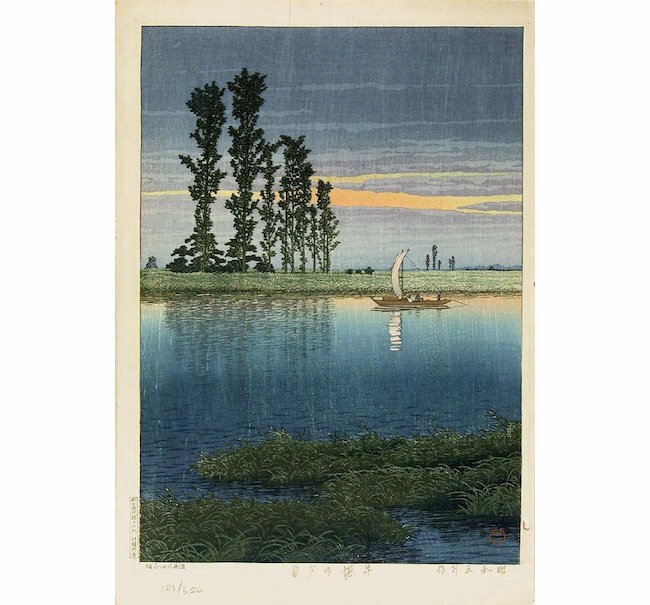 The opening session consists of 58 premium-quality Japanese woodblock prints, both vintage originals and contemporary productions; while the following sale features excellent prints at a more affordable price point. 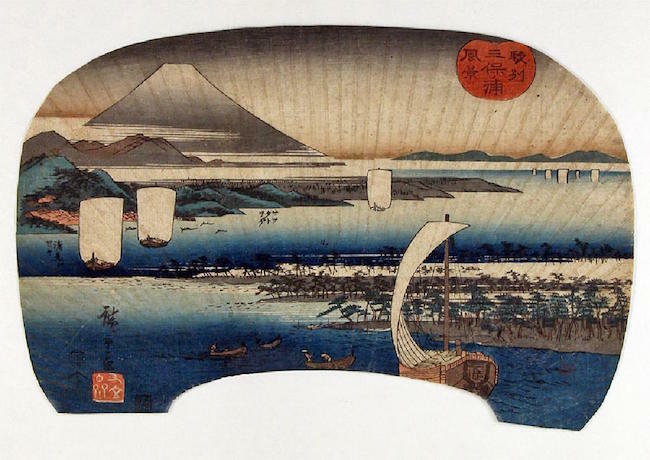 The auction opens with a View of Miho Bay by the renowned Ando Hiroshige in the form of a fan. The impression is from the original first edition created in 1845-46. Ando Hiroshige was a ukiyo-e artist, considered the last great master of that great master of the genre of Japanese art, which flourished from the 17th through 19th centuries. He is famous for his landscapes. Hasui Kawase (1883-1957) was a Japanese artist and printmaker who became a prominent figure in the shin-hanga (“new prints”) movement of the early 20th century. This movement was influenced by European Impressionism, and its imagery focused on landscapes, women and nature. 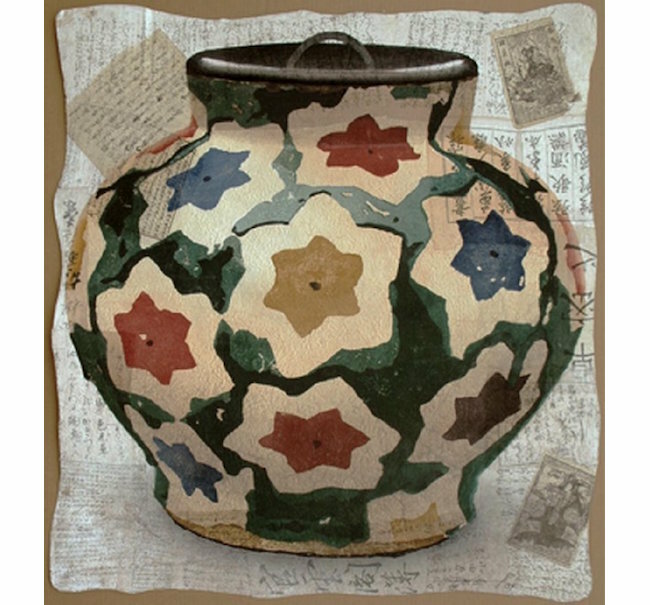 His Dusk at Ushibori is an excellent example. 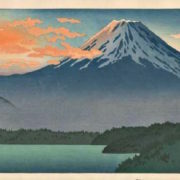 This first edition, numbered 189/300, was published in 1930 by Sakai & Kawaguchi. 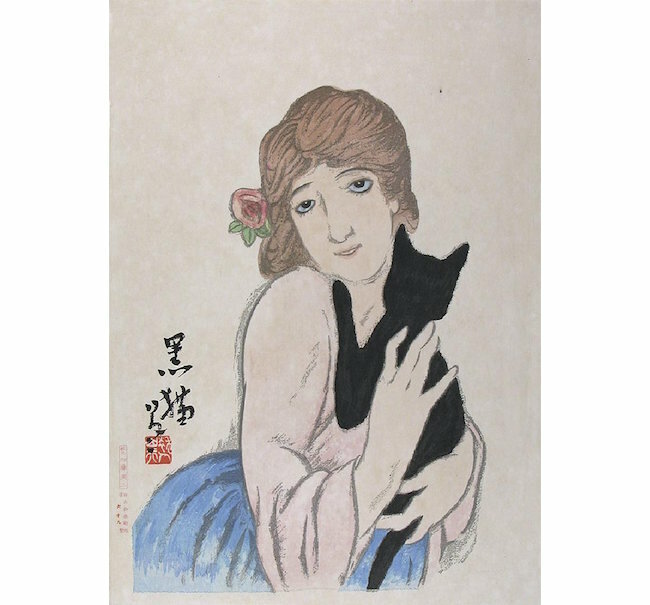 Takehisa Yumeiji became famous for his paintings, prints and books expressing the particular feeling of the Taisho democracy (1912-1926) and Taisho romanticism. 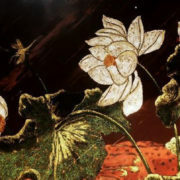 Next to classical depictions of young women wearing kimonos, his subjects are also depicted as a type of “modern” girl (moga) dressed in western clothes. 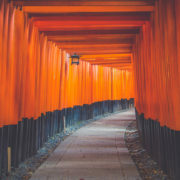 The influence of the Art Deco style, which found its way to Japan in 1920s, is also noticeable in Yumeiji’s work. Due to the artist’s death at the age of 49, much of his work was published posthumously, as is the case of the print in this collection. 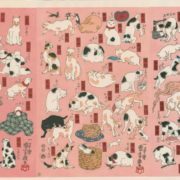 Kuroi neko (Black cat) is a limited edition numbered 69/150, which was published by Kato Junki in the 1950s. 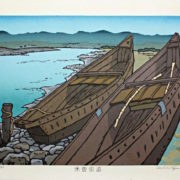 Contemporary examples of Japanese woodblock prints in the auction include a limited-edition work by Daniel Kelly, an American based in Kyoto, Japan. His pencil-signed and dated 2009 print Camellia is numbered 69/90. 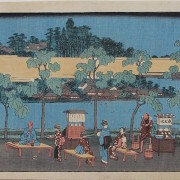 The second session features excellent-quality Japanese woodblock prints at attractive price points. 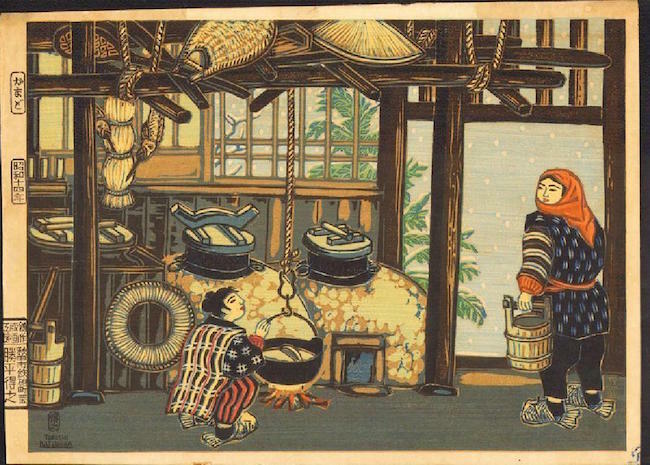 A standout in the second collection is Katsuhira Tokushi’s woodblock print titled Kamado (Cooking Stove), which depicts the interior of a Japanese dwelling. 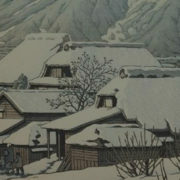 This 1939 print from Tokushi’s Customs of Akita series was self-published by the artist. Ikeda Eisen (1970-1848) was a Japanese ukiyo-e artist who specialized in bijn-ga (pictures of beautiful women). 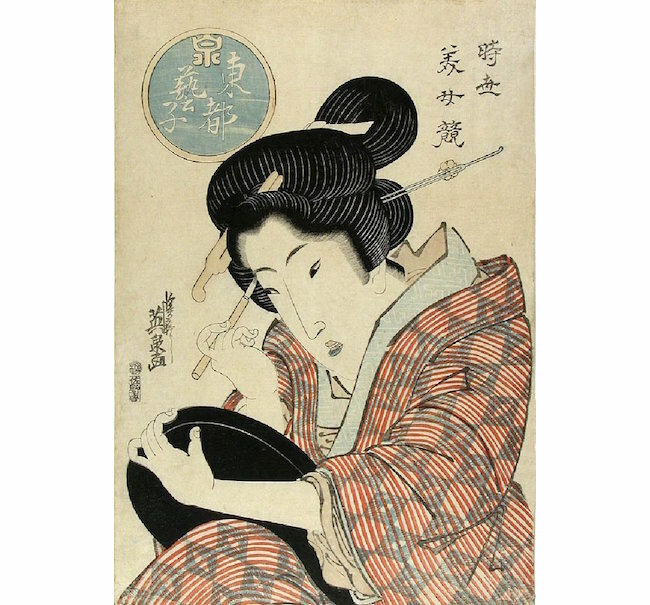 His woodblock print titled Geisha of the Eastern Capital is a prime example. 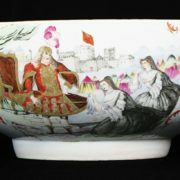 It is from the original edition done in 1825 by Sano-ki and comes from the Huguette Berés collection, Paris. Take a look at the fully illustrated catalogs and enjoy the two auctions.